Took me forever to find a working one. 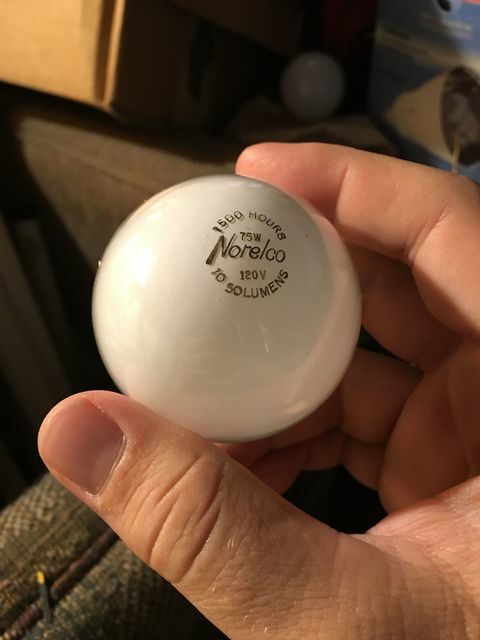 Looks just like an old Philips Argenta white bulb. Only 50 lumens?! (Yes, I know it's 1050 but the 10 is way off to the left lol). Interested to see a 70s lamp with the lumens printed on the etch. I thought that was only a recent thing because of the government labeling requirements. Same here, aside from specialty incandescents, I haven't seen a older one with the lumens printed on the etch like that.